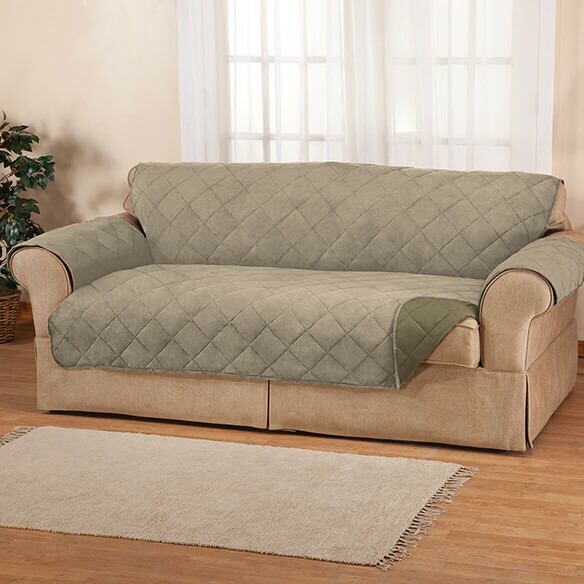 You’ll love the two beautiful looks and textures you get with our Naomi Suede-Microfiber Loveseat Cover by OakRidge™. 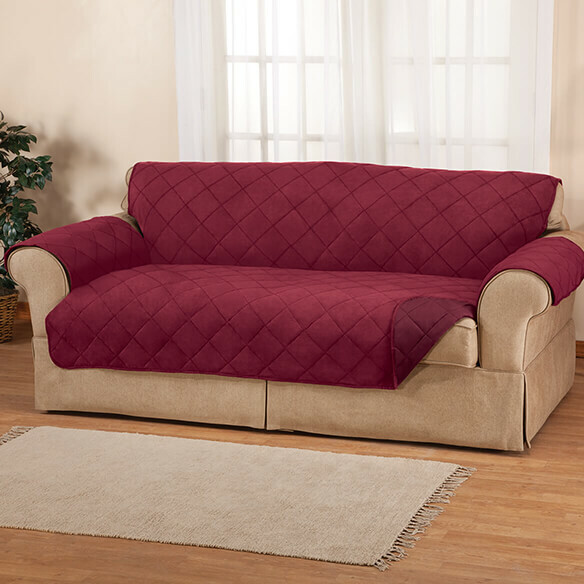 Soft and silky microfiber furniture cover reverses to luxurious polyester suede for two fresh designer looks as it protects your loveseat from spills, stains and wear. Durable, water resistant cover for loveseats repels liquids. Seat measures 36 1/2”L x 46”W; back is 39”L x 46”W.